By 1988 the idea had taken root within the World Conservation Union. 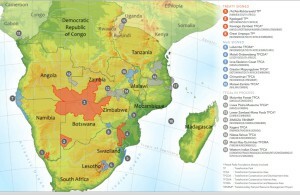 Initially they identified 70 potential transfrontier conservation areas (TFCAs) in 65 countries around the world, but today the figure stands at 227 transboundary protected area complexes incorporating 3 043 individual protected areas or internationally designated sites. It was in Africa, however, that the peace parks concept truly sparked into life. 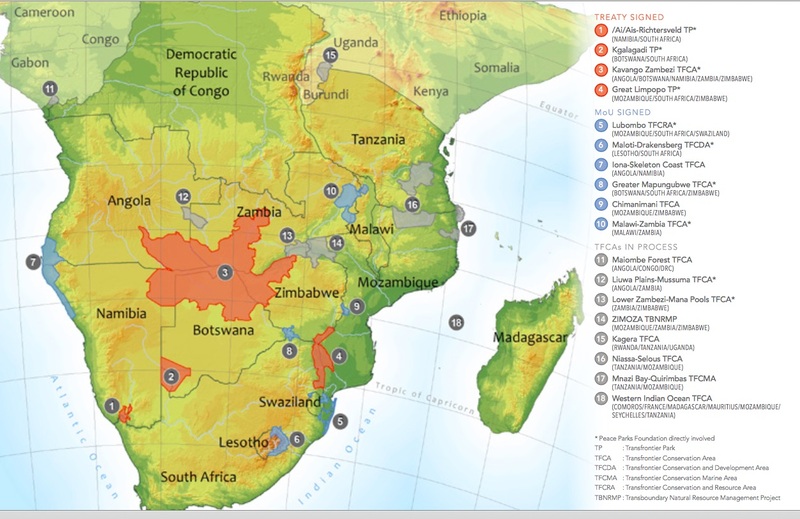 The brave dream of contiguous TFCAs in southern Africa began its realisation in the mid-1990s in the discussions of visionary leaders as they contemplated a new era of regional peace, democracy and development. In the years since, it has been the political will of leaders in southern Africa, and the efforts of an organisation set up to champion the peace parks concept, that has seen the vision of peace parks taking shape on the subcontinent. Spearheaded by Dr Anton Rupert, and with President Nelson Mandela and HRH Prince Bernhard of the Netherlands as co-founding patrons, Peace Parks Foundation was founded on 1 February 1997 to facilitate the creation of TFCAs throughout southern Africa. The !Ae!Hai Kalahari Heritage Park is managed by a joint management board, which comprises representatives from the ‡Khomani San and Mier communities and SANParks. The heritage park aims to preserve the cultural and traditional knowledge of these indigenous communities, while improving their opportunities to earn a livelihood. One of the key objectives is to expose the Bushman children to the traditional lifestyles of their ancestors. This is realised through the implementation of the traditional veld school at Bobbejaanskop, while adults participate in a similar programme at Imbewu Camp.